On Thursday, October 16th Exchange House Youth Work Department and young representatives from the community attended Dail na nÓg in Croke Park. This is an amazing event that happens once a year where young people from across the country can come together to have their say and vote for new youth representatives for Dublin City Comhairle na nÓg. 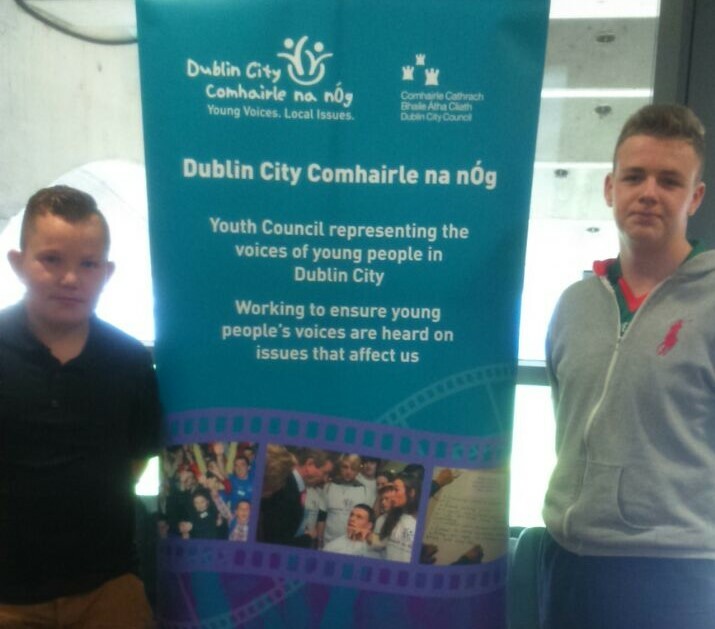 Comhairle na nÓg are local authority “youth councils” intended to give children and young people (aged between 11 and 18) the right to have their voices heard by being involved in the development of local services and policies. Over 250 young people from schools, youth work programmes, clubs, and centres came together to discuss issues that are affecting young people and to find out what progress has been made since last year’s AGM. Successes for the programme in the past include free Cancer vaccines for 12 year old girls and more recently free wifi on Dublin buses. This year the decision was made to focus on cyber bullying. Barnardos (2014) states cyber bullying is “when instant messages, emails, text messages or webpages are used to spread rumours, make threats or harass. It can include written messages, photographs, videos or voice messages.” The concern was raised that this issue affects young people across the country and they need more information and support. They plan to work on this campaign for 2014/2015 at a local and national level. There was also a celebration held for the 25th anniversary of the United Nations Human Rights of the Child which the most rapidly and widely ratified international human rights treaty in history. Exchange House’s staff and youth representatives said it was an inspiring day where young people got the opportunity to stand up, have their say, and plan for the future.